The original house burnt down but they rebuilt it for the Walton movie special they made. The house can also be seen in the show the Gilmore Girls. Some other shows used it also. I was really surprised as an adult on how good the scripts were . We used to watch it sometimes as a family… only specific thing I remember about it now was the “Goodnight John Boy, Good night… etc” bit. But I think we liked it well enough. Watching it as an adult…I’m really impressed by the kids and how natural they are… which sometimes isn’t the case with young actors and acturesses. I posted this before but I believe it was in the first or second episode of Three’s Company John Ritter says “Good Night John Boy” He played the pastor on the Walton’s. Just hearing that music and seeing the opening credits triggers a warm-hearted feeling. I’d like to watch the series again. So your mom got you a Waltons lunch box. What a precious memory. The show really is a time capsule of a way of life that has, for the most part, passed on. Oh it’s passed on and gone. They made the depression look somewhat appealing…because they stuck together. The writing was just so good…better than I remembered. Often that doesn’t happen when I think back on a show. I’m very happy you highlighted it today. Thank you…I enjoyed doing it. You know, I didn’t even realize it was set during the depression until you mentioned it. Makes sense, ’cause I always thought they dressed that way because they were plain country folk, which they were. I loved that show and yes, the grandparents were so great. Thanks for the reminder! Thanks for stopping by… I was surprised on well it held up. I had a Space: 1999 lunchbox in first grade. Some older kid teased me about it and I told him “Why don’t you just shut up”. Guess it’s the same all over. By the way he was an 8th grader. What a jerk…typical 8th grader…Well I wasn’t alone. Someone else mentioned that show the other day. I’ve never seen it. 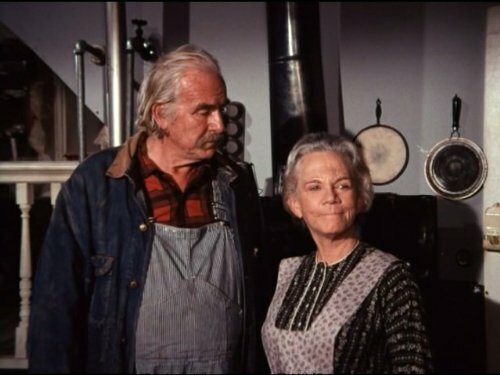 The Walton’s was my grandma’s favorite show. I will watch it today now and then [especially the John Boy years} and remember her. I would watch it with her. I think it reminded her of her family growing up. Great memories of watching the show with her- and hearing her talk of her family. Yes after John Boy and Grandpa is gone…it is just another show…not bad but not The Waltons anymore. They had a good balance on the show…I’m happy to see other people liked it. I know my entire family and all my school friends enjoyed this show with their families.